The Wilson Staff cart bag provides excellent construction and design along with plenty of convenient storage space. It features an easy access; 8” x 11” top with 6 dividers to ensure you can get the clubs in and out of the bag very fast. The bag also has large apparel pockets, beverage holder pouch and umbrella holder to provide excellent functionality whereas the double strap with 4-point attachment ensures easy and comfortable transportation. In addition, a waterproof no-H²O pocket makes certain nothing you place inside of it will get wet or damaged while the rain hood provides protection. 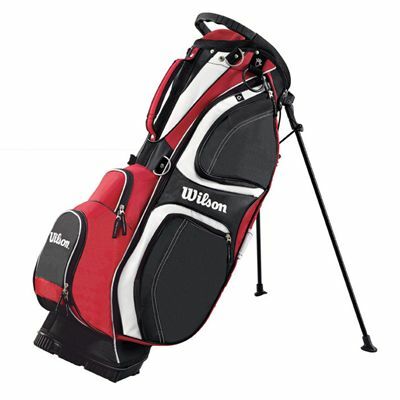 for submitting product review about Wilson Prostaff Carry Stand Bag.